This is the remarkable story of shipwreck, buried treasure and literary discovery that spans more than two centuries. It begins in 1810 when Maria Branwell, who would become the mother of the famous Brontë sisters, obtained a copy of a book, The Remains of Henry Kirke White, in her native Cornwall. Two years later she moved to Yorkshire, and the book was among her posessions believed lost at sea when the ship carrying them ran aground. 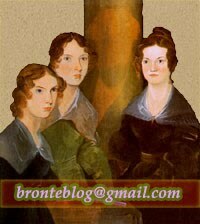 But it was recovered intact and became a treasured possession of the Brontë family, not only read but annotated by the sisters, Charlotte, Emily and Anne, their brother Branwell and their father Patrick. By 1861 all of them were dead and the book was sold at auction in Haworth along with the rest of the Brontë household effects. In the years that followed the book changed hands several times, eventually travelling to America, where it remained in a private collection until 2015. Finally it was bought by the Brontë Society and brought back to Haworth, where it yielded up the literary and historical gems hidden within its pages. These include annotations, sketches and two previously unpublished fragments of Charlotte Brontë's early writing. All are reproduced in Charlotte Brontë: The Lost Manuscripts alongside interpretations and explanations from a select group of Brontë scholars, including a compelling theory of the inspiration for Emily Brontë's masterpiece Wuthering Heights. The result is a book that no lovr, or student, of fine literature will want to miss. Charlotte Brontë: The Lost Manuscripts reproduces a 77-line poem and a 74-line story written by the author of Jane Eyre while she was in her teens. The manuscripts were found tipped into a copy of Robert Southey’s The Remains of Henry Kirke White which belonged to Charlotte’s mother, Maria, and which was acquired by the Bronte Society in 2016. 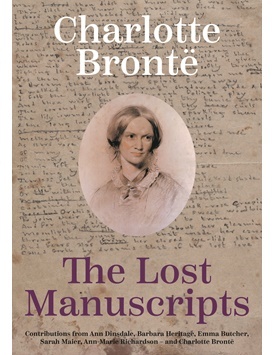 The Lost Manuscripts contains transcripts and images of the unpublished fragments as well as reproductions of the annotations and sketches that were made by the Brontë children in their mother’s book. In addition to this, the book contains four new essays by Brontë scholars Emma Butcher, Barbara Heritage, Sarah E Maier and Ann-Marie Richardson, which between them explore the significance of the find. There is also an account by Ann Dinsdale, Principal Curator at the Brontë Parsonage Museum, of the remarkable story of how the lost manuscripts made their way back to Haworth Parsonage after spending much of the last 150 years in America. John Thirlwell, chairman of the Brontë Society, said: “We are thrilled to share these previously-unpublished manuscripts by Charlotte Brontë alongside the family annotations contained within Mrs Brontë’s much-loved book.